There are new recommendations for baby car seats. Experts have issued new recommendations for baby car seats. Experts are urging parents to make the move from infant capsules to rear facing convertible car seats sooner rather than later with new findings showing the car seats offer more protection to one-year-old children. Previously, parents have operated under the recommendation that infant carriers (or capsules) are suitable as a child car seat up to the time the child turns one. However, new studies have shown that parents should be transferring older babies into convertible car seats much sooner. Consumer Reports has conducted testing into rear facing child child restraints to determine which of the two options are safest. Using a dummy with the equivalent weight of a one year old child, they found that a child was far more likely to hit their head on the back of the seat (on a front on crash) when placed in a rear facing capsule than they were when placed in a rear facing convertible car seat. (Over half of the dummies restrained in rear facing capsules had an impact to the head, where as only one dummy using a rear facing convertible seat suffered head trauma). Head contact for children remains a major factor contributing to serious injury or death in car accidents for children. Most babies will outgrow their capsules by their first birthday. Image: iStock. 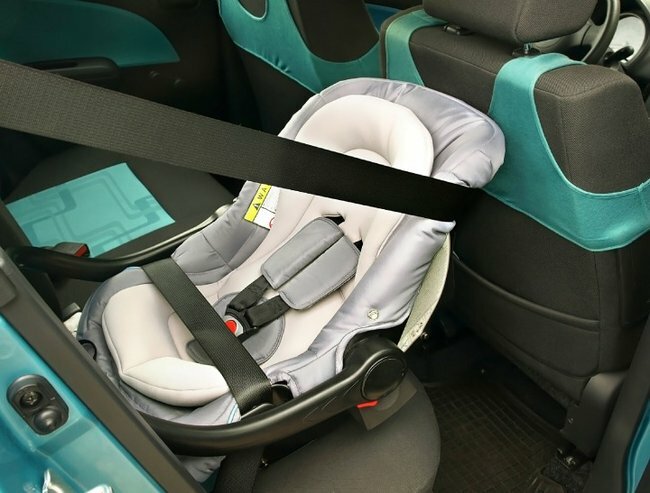 It is noted that most babies will outgrow their carrier before this time, however when it comes to children in cars, safety is always the priority. The current legal requirement is that babies remain in rear facing restrains at least until the age of six months but many experts advise that the longer a child can remain rear-facing in a vehicle, the better. "Parents shouldn&apos;t be too hasty when it comes to turning a child around in the car," says Melinda Spiteri, a car seat safety specialist. "While Australian child restraint laws only require your baby sits in a rearward facing seat until she is six months old, experts recommend you do not move your child to a forward facing seat until she passes the labelled upper shoulder markers. If there are no markers, the sign your child has outgrown the restraint is when her shoulders are above the top shoulder harness slot for rear facing use." How long did you keep your baby in a capsule for?